NASA Astronaut Dr. Don Thomas will be the commencement speaker for the 143rd commencement ceremony at the University of Rio Grande and Rio Grande Community College. RIO GRANDE — The University of Rio Grande and Rio Grande Community College is preparing to host the 143rd Commencement Ceremony. Each year, Rio invites a commencement speaker to offer the graduating class words of wisdom as they begin their lives after higher education. The Spring 2019 commencement speaker will be Ohio Native and NASA Astronaut Dr. Don Thomas. Thomas served as a mission specialist on four space shuttle missions as well as serving as NASA director of operations at the Gagarin Cosmonaut Training Center in Star City, Russia. Rio Interim President Dr. Catherine M. Clark said she is excited to hear the insight he will share with the graduating class. 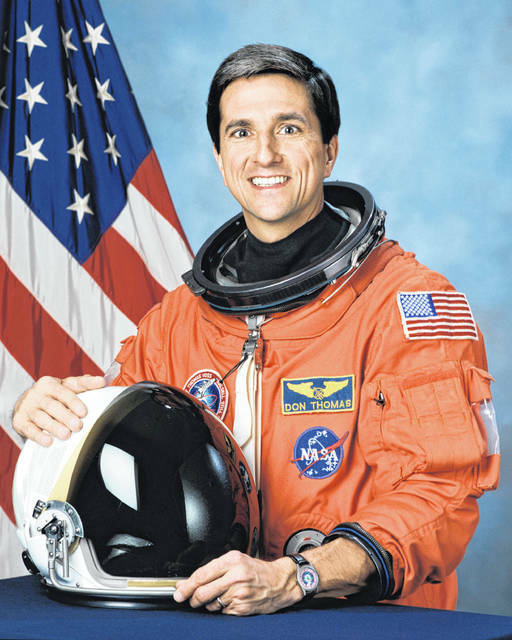 Thomas is from Cleveland, Ohio, and has an extensive background with NASA including spending 44 days in space, completing 692 orbits of the Earth, and serving as International Space Station Program Scientist from 2003-2006. In this position he was responsible for selecting and scheduling experiments to be performed aboard the ISS. He received his Bachelor of Science degree in physics from Case Western Reserve University, and continued with his education to receive his master and doctorate degrees in materials engineering from Cornell University. He was awarded two patents for inventions related to the packaging of semiconductor devices during his time as a senior member of the technical staff at Bell Laboratories in Princeton, New Jersey from 1982-1987. Thomas said he is grateful for the opportunity to speak to this spring’s Class of 2019. The Commencement Ceremony will take place Saturday, May 4 at 1 p.m. with 357 students set to walk across the stage. Jessica Patterson is a communications specialist with the University of Rio Grande.